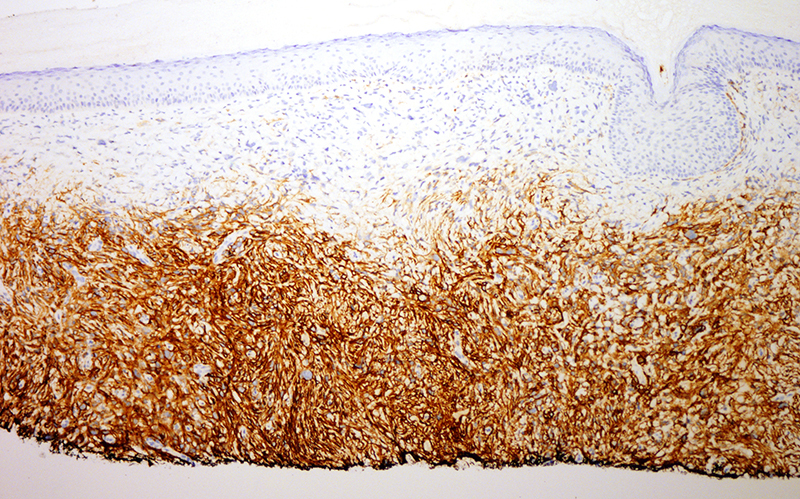 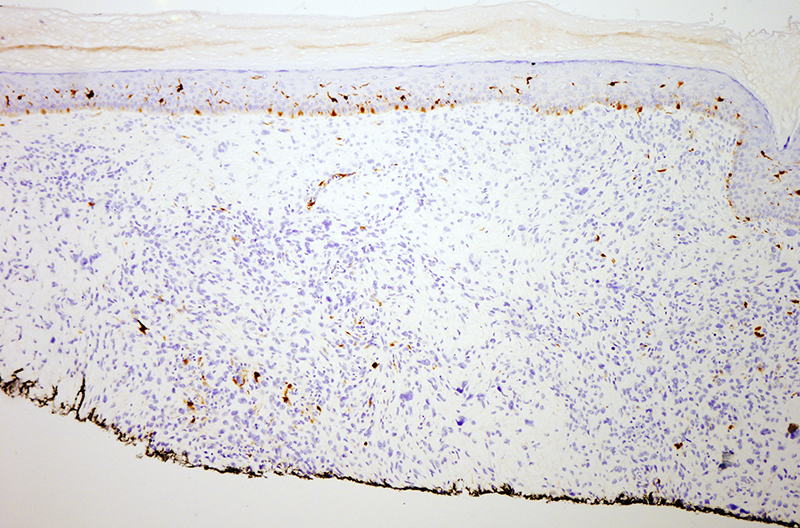 The findings are those of a markedly atypical dermal based spindle cell neoplasm exhibiting positivity for CD10 without any clear cut evidence of smooth muscle, melanocytic or epithelial differentiation. 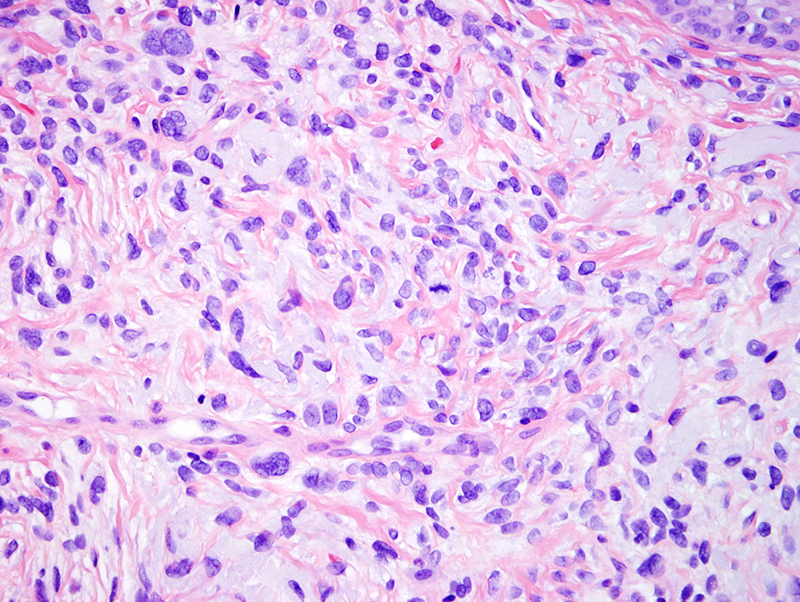 The findings are consistent with an atypical fibroxanthoma, a probable dermal based mesenchymal neoplasm of myofibroblastic derivation. 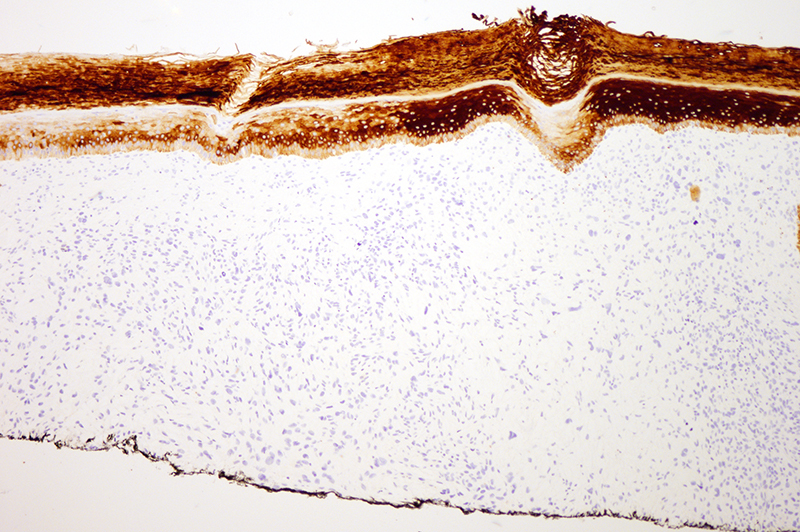 Despite a worrisome histology, the lesions do not exhibit an aggressive clinical behavior. 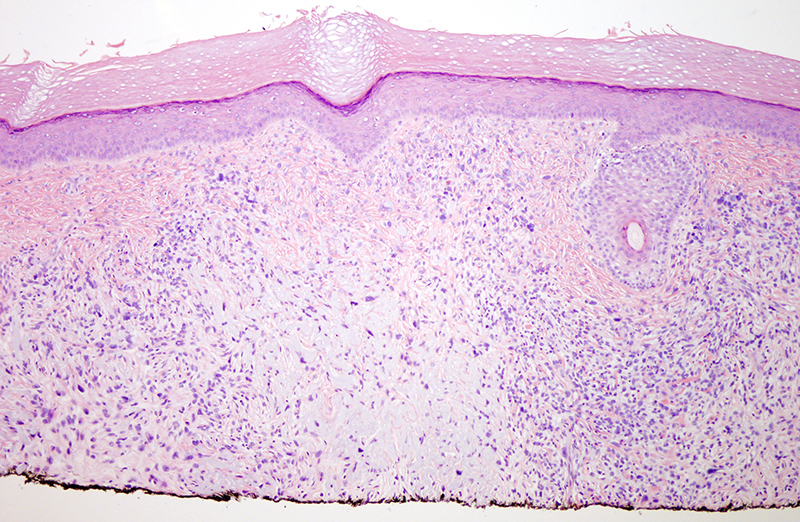 The differential diagnosis is with a pleomorphic dermal sarcoma which is really the aggressive equivalent of an atypical fibroxanthoma whereby morphologic features favoring this diagnosis include subcutaneous extension, vascular invasion and overall size. 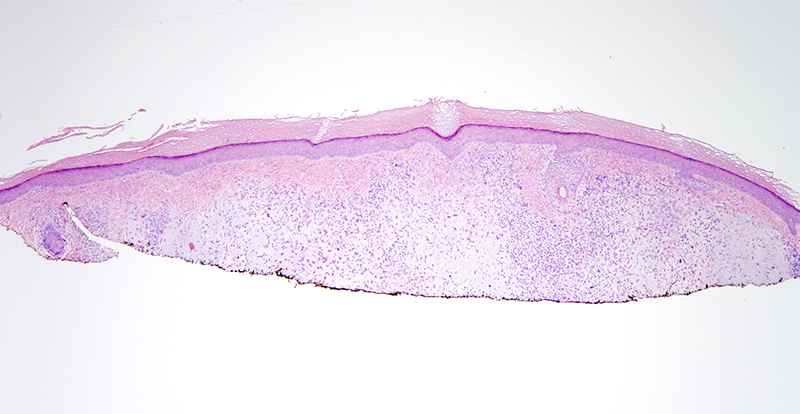 In this regard, the diagnosis of pleomorphic dermal sarcoma cannot be excluded.